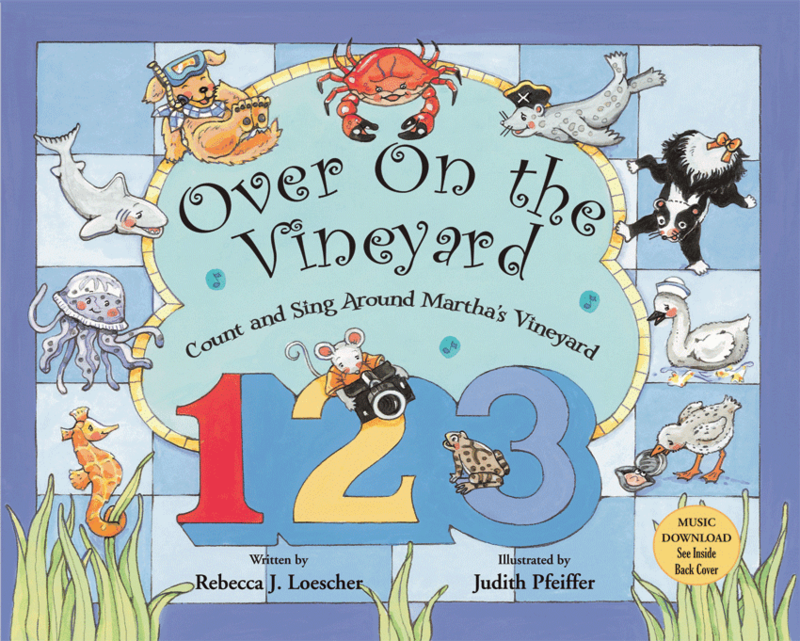 My picture book, Over On the Vineyard, Count and Sing Around Martha's Vineyard, is now in a number of stores on the island and sales are going well. My illustrator, Judy, and I have done a number of library visits and book signings. What fun it is for us to see the children's attentiveness and delight in both the words and illustrations! The free music download can be found on the Audio Download page. It is adding lots of family singing fun for children. My daughter Laurie and her girls recorded it, and I'm grateful to them for their great work on this! They'll be joining us on Martha's Vineyard in just a few days. 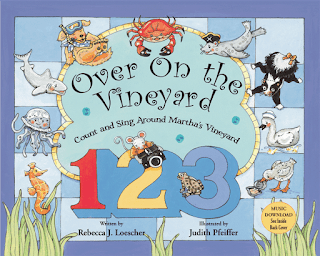 Last week, when my husband and I were on Martha's Vineyard, we picked up the completed illustrations for my next book, Over On the Vineyard. The day after we came off-island we took them to the printer in NJ, and the process is now in the works! The first round of proofs, the color scans and disc, will arrive while we are in Aruba. Upon our return, I will head for Martha's Vineyard to begin rounds of checking over the scans, creating one or two new pages, and inserting the text on the pages with my illustrator, Judy, and our techie genius friend, Carolee, God's special gifts to me as friends, as well as for my book projects. We will meet for several sessions, shaping the final copy. It's all very exciting when we get together, bouncing creative ideas back and forth...like iron sharpening iron. Their imaginative contributions enrich my books significantly. They're the best! While on-island, I took the illustrations to Bunch of Grapes Bookstore to show Susan Savory, who is in charge of children's books. Susan is also a gifted children's book illustrator! Her valuable input has been timely and more than helpful. I was so happy that Bunch of Grapes' owner, Dawn Braasch, was also there to see the illustrations. Their delight at Judy's wonderful paintings and encouragement about this soon-coming book has increased my excitement for this summer season on MV. And now they're planning a launch party for Over. I'm grateful for their kindness! Welcome to Nature, Set to Rhythm!